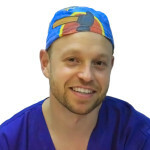 Dr Pieter Peach is an adult and paediatric specialist anaesthetist with sub-specialty training in paediatric anaesthesia. He completed his fellowship training in paediatric anaesthesia at the Royal Children’s Hospital, Melbourne. His clinical anaesthesia practice is predominantly in urology, neurosurgery, adult and paediatric orthopaedics, ear, nose and throat surgery, general paediatric surgery, obstetrics, adult and paediatric ophthalmology, and plastic surgery. He is currently working part time at the Royal Children’s Hospital Melbourne as a consultant anaesthetist, and works regularly at several private hospitals including Cabrini Hospital Malvern and Brighton, St Vincents Private East Melbourne and Fitzroy, and Epworth Richmond and Epworth Freemasons. His regular surgeons include Mr Adam Landau, Mr James Elder, Dr Caroline Ryan, Mr Gary Nattrass, Mr Michael Johnson, Dr Jennifer Wheatley, Mr Gregory Malham, Mr Morris Ritz, Dr David McKnight, Dr Darren Katz, Mr Tom Morris, Dr Dan Lenaghan, and Dr Karen Kan.
His company Designtask, founded in 2008, is dedicated to exploring and novel uses of existing and emerging digital technologies to improve patient care. 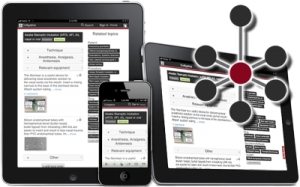 Designtask’s projects include Colligative, a novel knowledge sharing network aimed at distributing quality practice techniques between clinicians within and across organisations. Another of Designtask’s projects is Patientloops, a mobile patient engagement platform aimed at helping clinicians improve communication and followup with their patients. Copyright © 2019 Dr Pieter Peach . All Rights Reserved.